Whisky production has started at Scotland’s first “single estate distillery” as part of an effort to highlight the benefits that estate and landowners bring to Scotland. Ballindalloch Distillery is located on the estate of the same name in the Spey Valley, and officially began the distillation process in late September. Employing three people, the distillery was part of the recent Helping it Happen campaign, aiming to highlight how landowners can boost tourism in rural Scotland and provide jobs. Ballindalloch estate owner and distillery founder Guy MacPherson-Grant, whose family have lived there since 1546, said the whisky was named “single estate” for good reason. He said: “Although many will associate our family name with the distillery, it has been a real community effort. “The estate has facilitated the project, but the partnership between the estate and the community has brought real benefits to both, and one that will continue in future months and years. “The main principle behind calling it a single estate whisky is that around 80% of the tradesmen, joiners, stonemasons, tilers and of course our distillers all come from within 20 miles of the distillery. “The word estate doesn’t necessarily have any negative connotations, however the use of the word in the media alongside topics like the poisoning of birds, removal of travellers or even car crashes has certainly hurt the word. 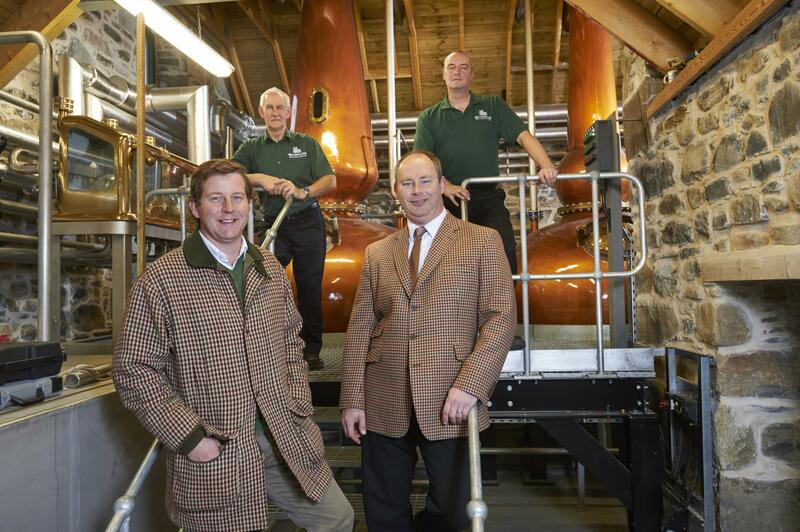 “So we’re seeking to rehabilitate the word by using the idea of a single estate distillery to represent all the benefits that our estate provides. “Everything about the terroir, or in Gaelic the Àrainneachd, that the whisky is composed of is sourced from the estate. The distillery is aiming for the first single estate whisky to be bottled in eight to ten years time.